New Orleans is not the only city in Louisiana that knows how to have fun. Just one hour outside of the 504, Houma is planning for Summer Fest. The concert will take place on August 11 at the Houma Terrebonne Civic Center from 6 p.m. until midnight. 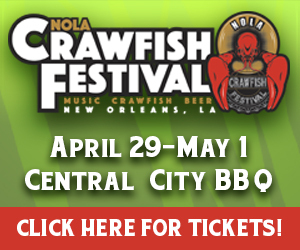 The lineup includes New Orleans’ favorites Rockin’ Dopsie, Jr. & the Zydeco Twisters, LeRoux and Amanda Shaw. Rockin’ Dopsie, Jr. a.k.a David Rubin, is a New Orleans heirloom. He took over the Zydeco Twisters, when Rockin’ Dopsie Sr. passed away in 1993. Rockin’ Dopsie, Jr. has kept his father’s legend alive, and New Orleanians on their feet, ever since. Rockin’ Dopsie, Jr. has performed at the White House, boogied with James Brown and is a fixture at JazzFest. “The only way you could be more funky is if you’d been born a skunk,” Cyril Neville of the Neville Brothers said of Rockin’ Dopsie, Jr. & the Zydeco Twisters. Another Summer Fest headliner, LeRoux, achieved fame in the 1980s with “Nobody Said It Was Easy.” But the local favorite is “New Orleans Ladies.” LeRoux has opened for ZZ Top, Ozzy Osborne, Journey and more. “When we had a major-label deal, we were always trying to fashion ourselves to a format,” Tony Haselden, founding guitarist and songwriter of LeRoux, said. Now free from their label, LeRoux will perform with more musical freedom. No stranger to the stage, Amanda Shaw was the youngest soloist to ever perform at the Baton Rouge symphony. At 11 years old, she performed a Cajun rendition of “Girls Just Wanna Have Fun” with Cyndi Lauper. She is often compared to Britney Spears but has chosen to stay close to home rather than to pursue Hollywood fame. 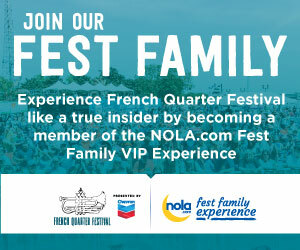 The artists and audience at Summer Fest will join together in celebrating the long history music in Cajun country. Ticket prices are $25 for floor standing, $25 for general admission riser seating and $50 for VIP table seating. Tickets can be purchased at the Houma Terrebonne Civic Center’s box office or at ticketmaster.com.